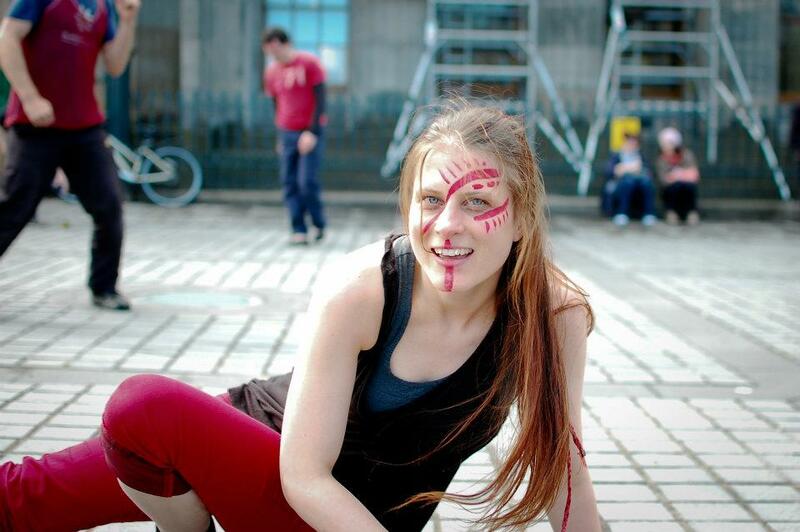 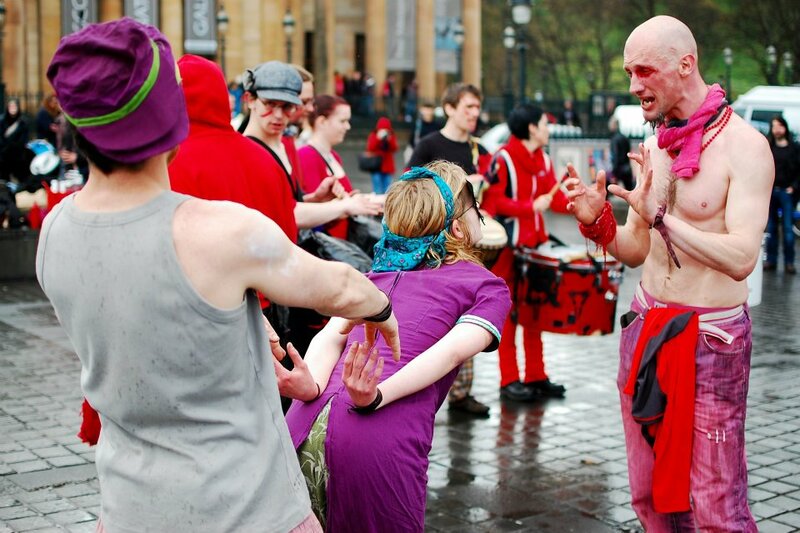 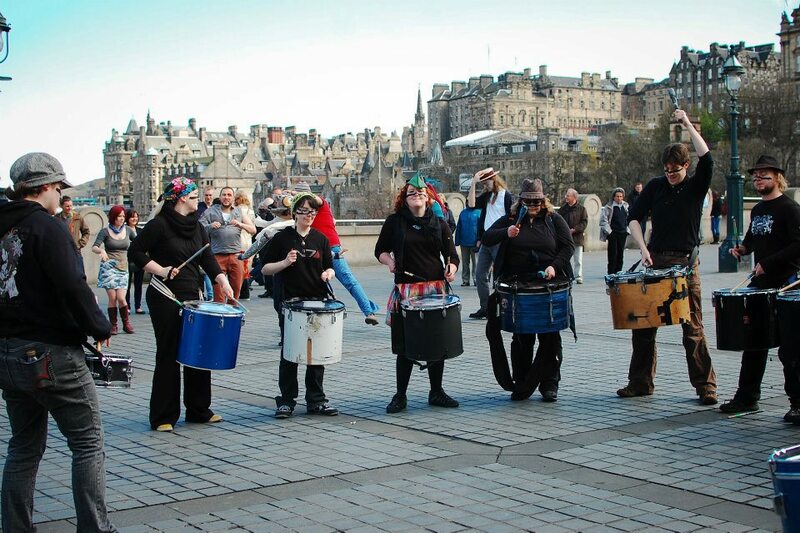 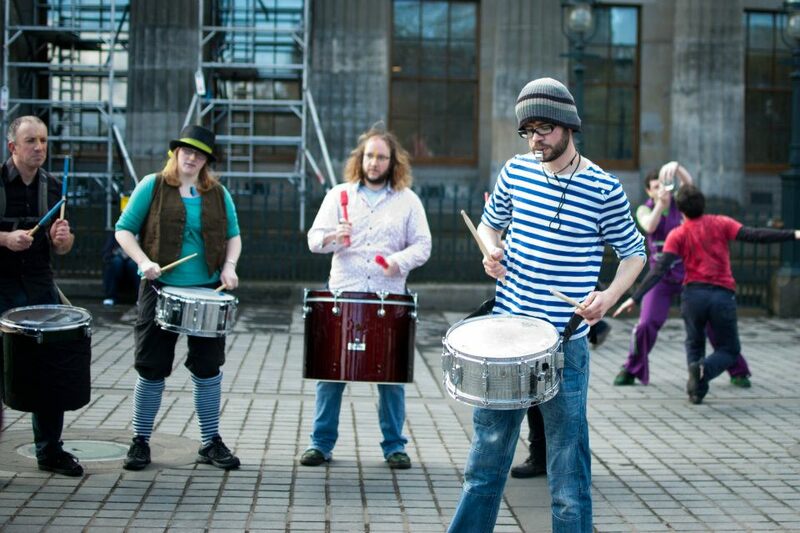 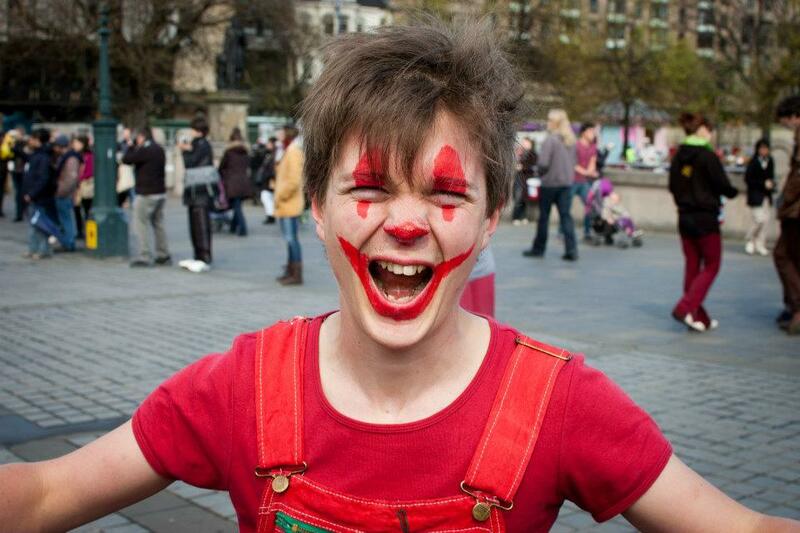 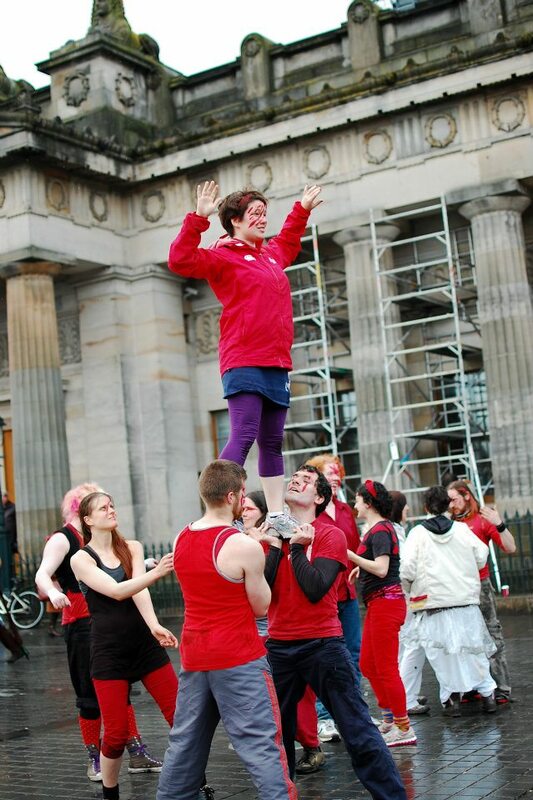 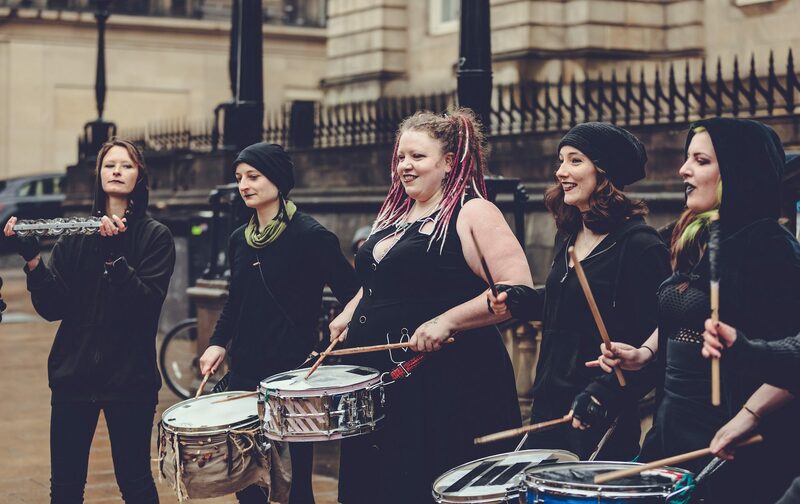 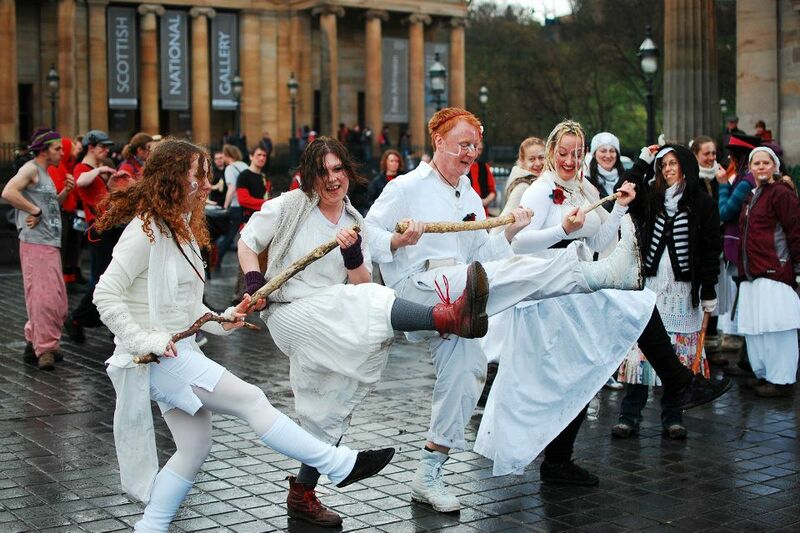 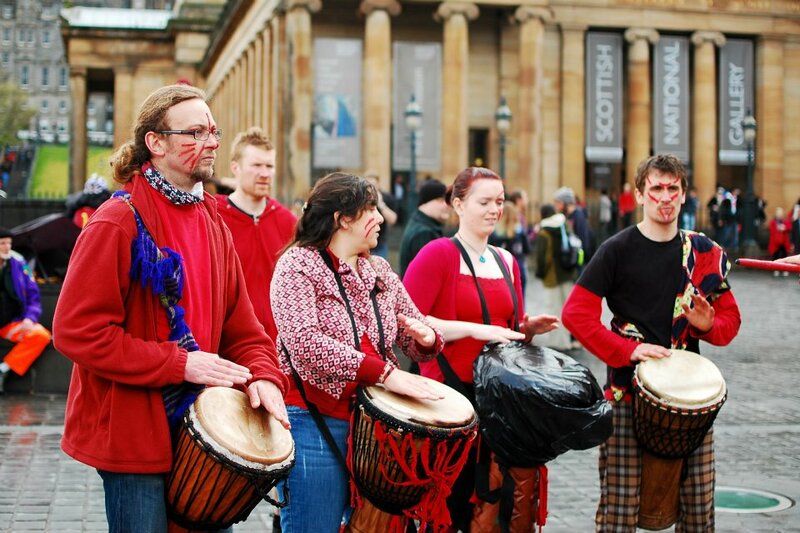 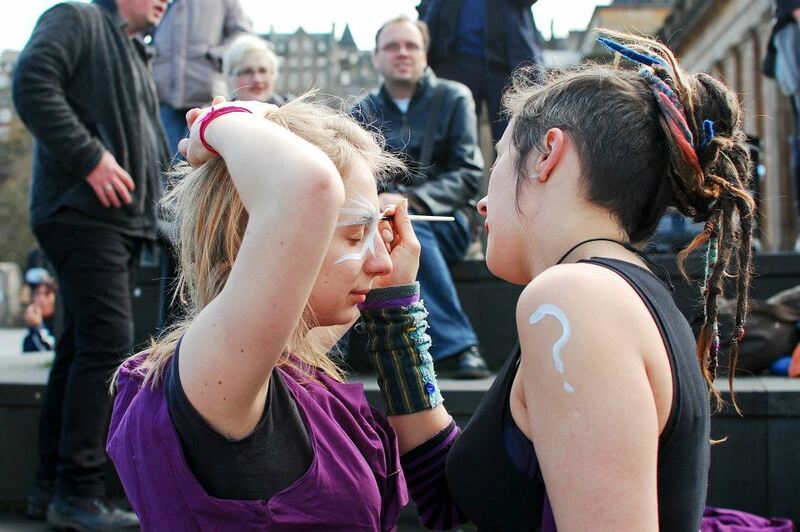 Photos from our first busk of the year on The Mound, Edinburgh. 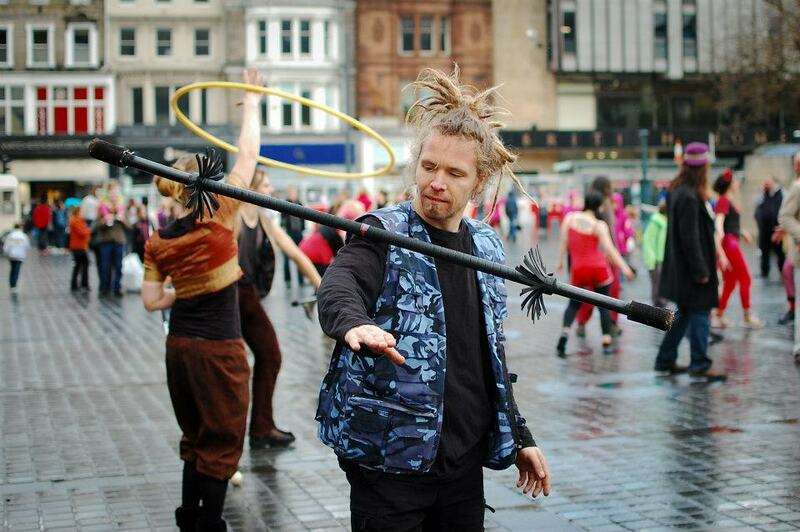 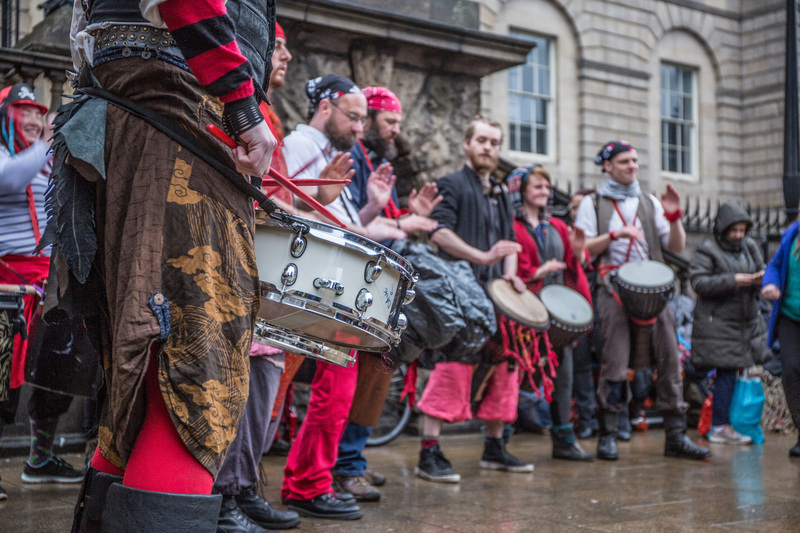 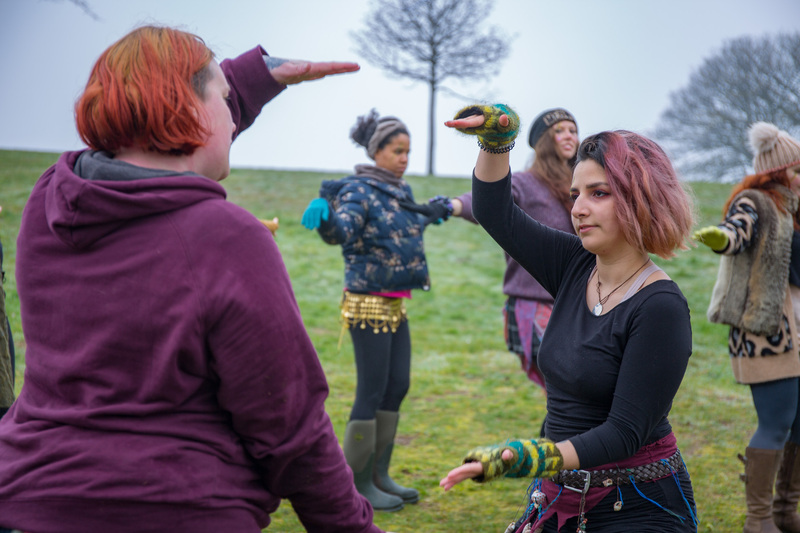 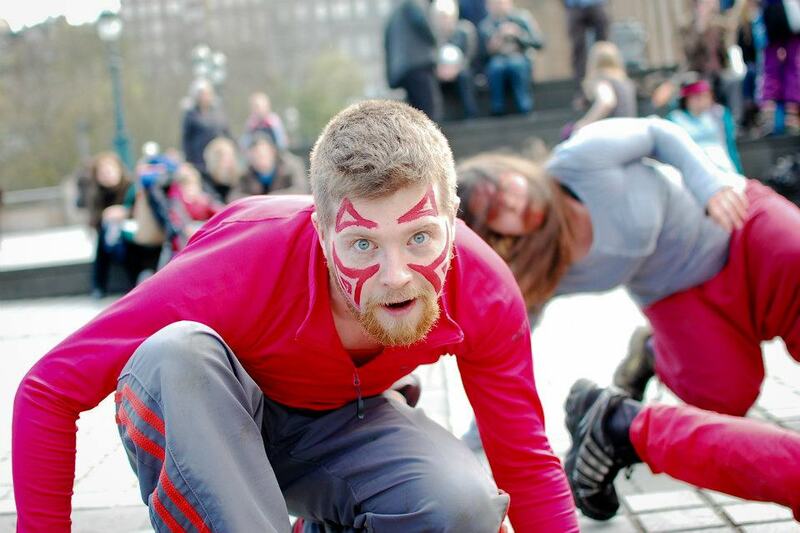 Busks help us raise money to fund our events and crowds of locals and tourists alike spent the afternoon watching BFS performers drumming, juggling, acrobalancing, stilt-walking, dancing and err…performing! 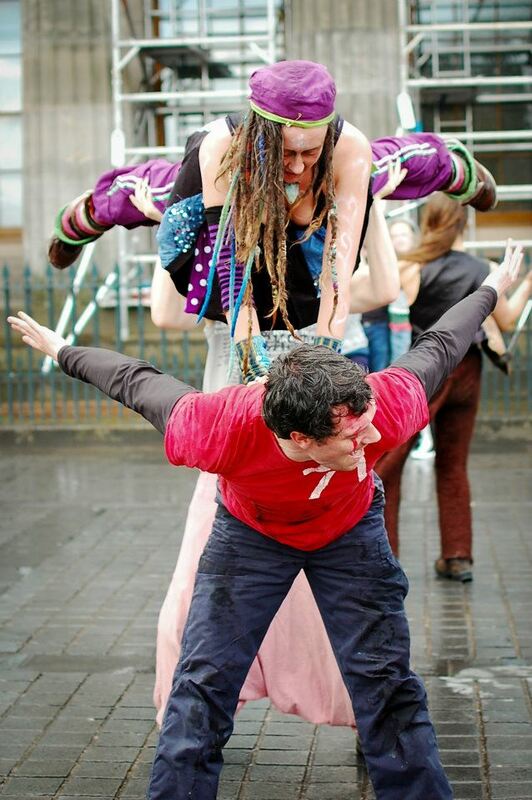 Even in the pouring rain. 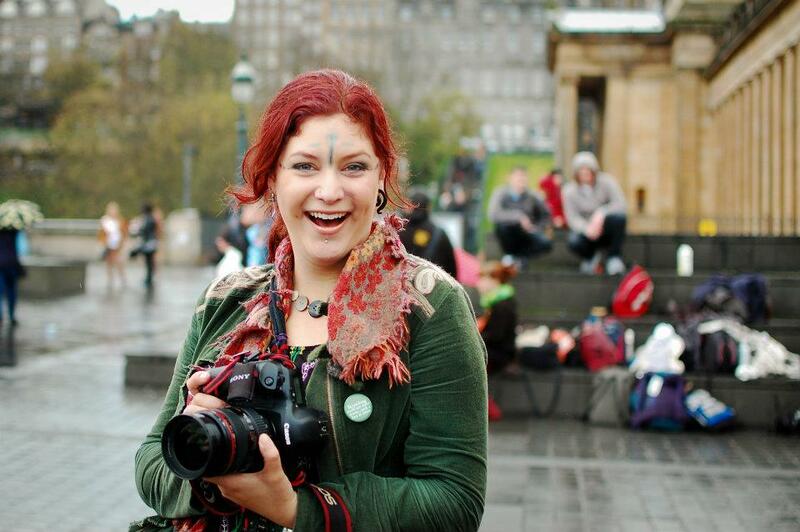 Photos by Raini Scott. 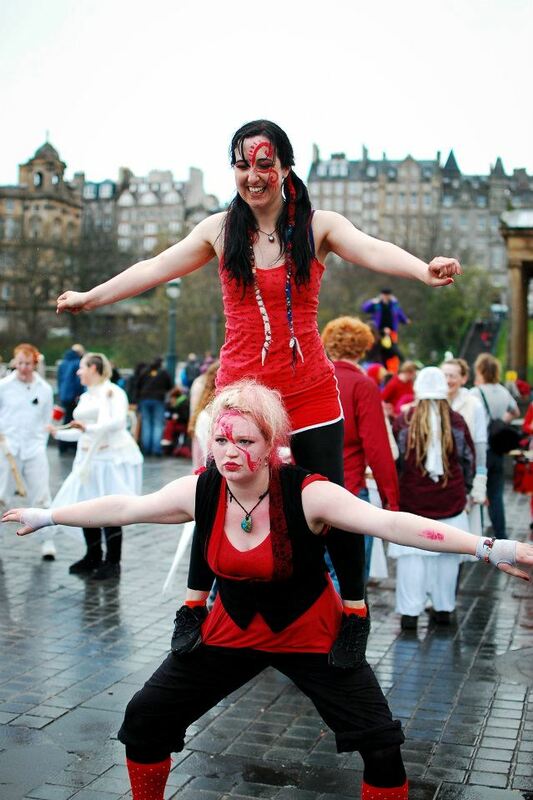 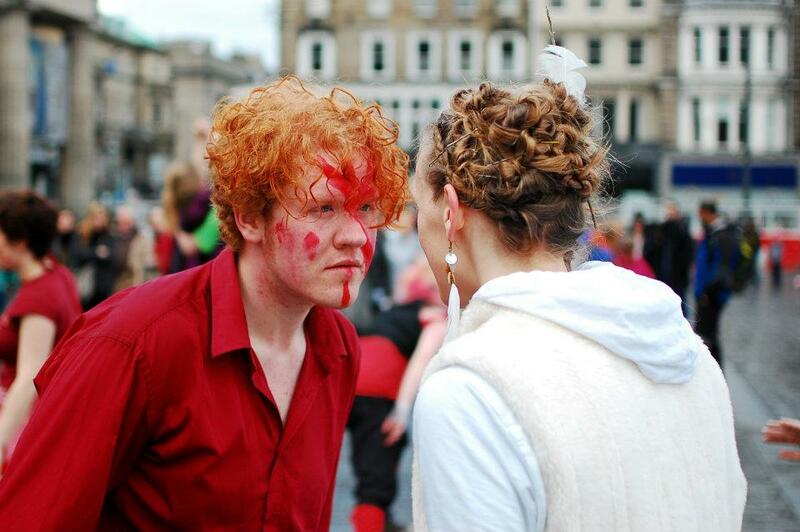 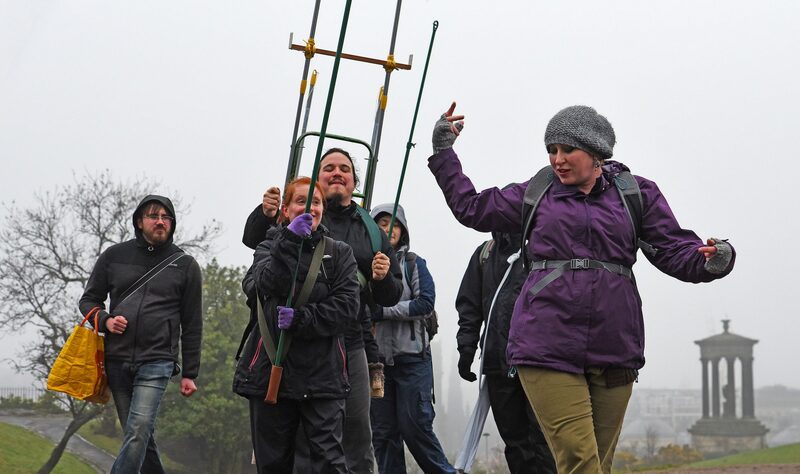 Previous Get your Beltane Fire Festival tickets at Hub Tickets Online for £6 now!